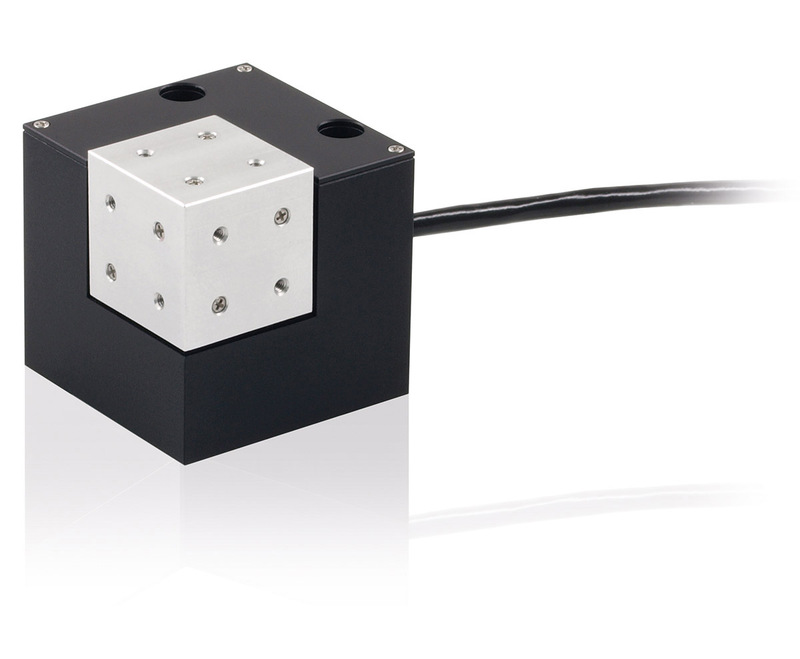 The new P-616 NanoCube® from PI (Physik Instrumente) is extremely compact and offers identical dynamics, precision and velocity on all three motion axes with loads of up to 50 grams. This makes it suitable for example, for use in fiber alignment, microscopy or in precision manufacturing. The dimensions of the P-616 are only 40 × 40 × 40 mm and it weighs only 80 g. The travel range on all three spatial axes is 100 µm and the resolution is 0.3 nm. The high resolution is realized directly by using noncontact capacitive sensors. 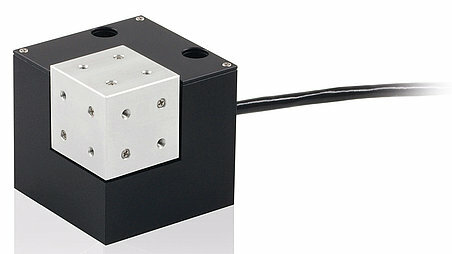 To achieve the performance characteristics of the NanoCube®, PI uses a parallel-kinematic design with three lever-amplified PICMA® actuators and friction-free flexures. The drive concept makes the compact form and the high stiffness of the system possible. PICMA® actuators are also distinguished by a high lifetime under extreme ambient conditions. This makes it possible for example, to operate the NanoCube® within a temperature range from -20° to 80° as well as in a vacuum to 10-6. To ensure customized and smooth operation, the P-616 is equipped with an ID chip that stores all required parameters as well as the individual product information for the system and makes this readable for the electronics. If new or optimized electronics are connected, the device ready for use directly without the need to recalibrate it.